Sellers in the Glendale, Burbank, La Crescenta, and North Hollywood real estate markets have enough to worry about in readying their home for market and planning their move to a new home. I will take over a huge number of tasks and details to make sure that your real estate property is properly evaluated, priced, marketed, negotiated and carried to closing. Search Assistance to Understand the Market It’s important that I help you to search the listings on our site to learn about currently listed similar homes in your area. Only by knowing the competition can you make improvements and set a competitive listing price. A Marketing Plan that Works I have perfected a marketing plan for every type of property in the Glendale, Burbank, La Crescenta, and North Hollywood real estate markets. Some things work better in some areas and price ranges than others. I’ll show you a specific plan for your property. 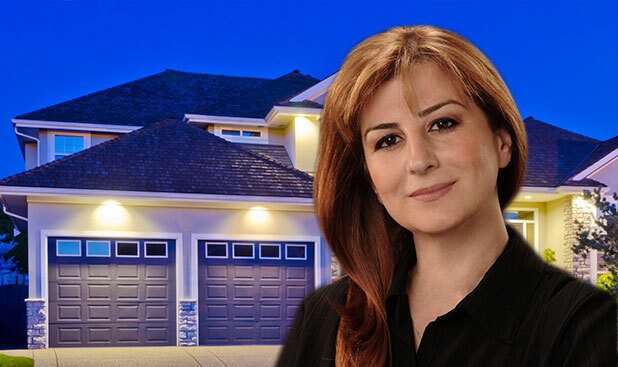 Thorough and Objective Home Evaluation I consider it my obligation to help you to thoroughly and objectively evaluate your home’s condition and features to properly assess how it competes in the current market. Proper List Pricing A property that isn’t priced well will either leave money on the table for our sellers or cause the property to linger on the market. I do thorough CMA reports to help my sellers value their properties with realistic market expectations. What would an upward or lower price adjustment look like based on the current market CMA? Well, let’s look at an example. Let’s say that the CMA of previously and recently sold similar homes shows that the listing price should be around $235,000. However, those sales were between one month and three months old. Our current market listing CMA shows that similar homes in the neighborhood are listed at $249,000 or thereabouts. Me and you may decide that the market is improving and justifies raising the listing price of your home to $245,000 so that it’s still competitive but a better deal for you. Of course, this can work the other way as well. A proper list price that reflects current and realistic market conditions is critical to getting your Glendale, Burbank, La Crescenta, and North Hollywood real estate property sold quickly. I don’t want you to under–price, but it’s worse to over–price in any market. Buyers discount value by DOM, Days On Market. The longer a home stays on the market, the greater they’ll discount their offers. 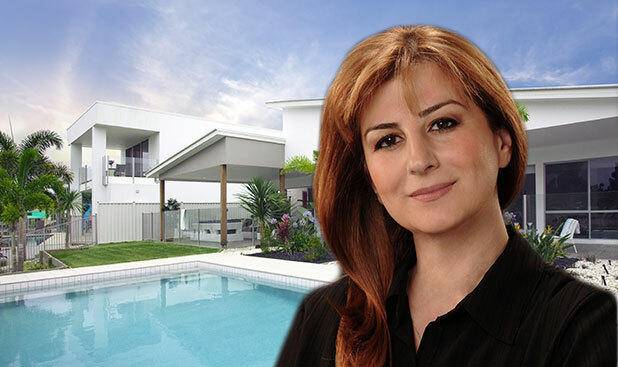 So, a realistic list price is how I make sure your property sells without languishing on the market. How do I come up with a suggested list price that reflects your home’s competitive position? It’s a combination of services and experience, and I’m going to be very careful and detailed in my analysis and market evaluations to make sure that you don’t leave money on the table or sit around wondering why you aren’t getting offers. My evaluation of how your property compares to the current competition is the first step. Then we may suggest some worthwhile corrections you can make to improve that position. Once I know what your home will look like when listed, I’ll go into our thorough CMA, Comparative Market Analysis, process. First I select comparable properties out of those sold recently and in the neighborhood or nearby. These “comparables” or “comps” are selected based on similarity in features, location and characteristics with your home. They must have been sold as recently as possible so the sold prices are of maximum value. I then do a through “adjustment” process to adjust their sold prices for any differences with your property. If a home has one more bedroom than yours, I would adjust that property’s sold price downward for the value of one bedroom to make the comparison “apples to apples.” I make adjustments for garages, bathrooms and other major features to bring our comps to closely compare with your home. Then I use those sold prices to arrive at a preliminary listing price for your home. I say “preliminary” because I have another CMA step. Markets don’t just change monthly, they change daily in many instances. As new listings come on the market and others sell, the supply/demand ratio changes and your price may need to be adjusted. I provide you with regular market updates to keep you in the loop. Do you know how many comparable properties to your home came on the market this week? How about how many were sold or taken off the market? Markets are constantly changing, and it’s my job to monitor these changes and keep my listing clients informed. Changes in the competition don’t always require a price adjustment, but they may. Sometimes they just cause us to make changes in our marketing approach, putting emphasis on features that are no longer available in currently listed comps. Whether I’m suggesting a price adjustment up or down or not, I’m always concerned with my seller clients’ peace of mind that their real estate property is properly priced and positioned in the market. Use the form on this page to tell me about your property and I’ll do a preliminary CMA for you with recently sold comps in your area. I’ll need more data to do the best job, but you can begin to see how the process works. I do the marketing and property valuation process well, and that means you’ll be seeing a buyer with a contract soon. I am with you every step of the way in the contract price negotiations and will work to get you the top price possible with the fewest concessions. 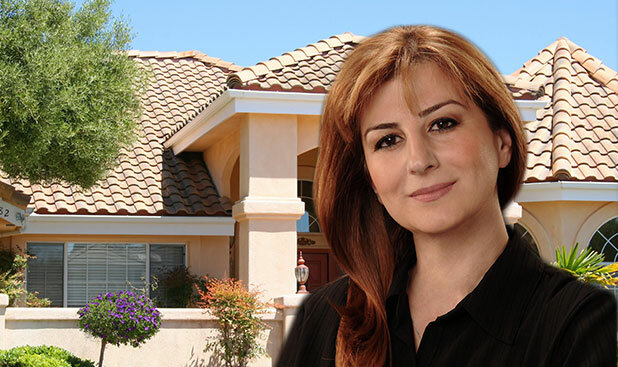 I love helping Glendale, Burbank, La Crescenta, and North Hollywood real estate buyers to find the perfect property. But I love even more the ways in which I can help them to buy it at the very best price with the very best terms. Sometimes negotiations aren’t all price. A great contract can involve other seller concessions that create the right deal for my buyer clients. How can you be expected to make price offer decisions in a vacuum? I spend a great amount of time and effort in collecting market data to help my buyers in their price negotiations. This data involves not only sold property prices by neighborhood, but also current listing pricing to determine the competitive nature of the market. This data is very thorough, and it’s call a Comparative (or Competitive) Market Analysis. There are two parts, the comparison of the property you’re considering to similar properties recently sold in the nearby area. This gives me a firm grip on what has happened in the near past, but by nature it is “past” data, thus possibly not accurate for the market as it is when you’re in negotiations. I then do another CMA process on the currently listed properties most like the one under consideration and in the same neighborhood or nearby. This gives me a current market snapshot so that I can adjust my valuation model and my offer to reflect the current market situation. Only through constant communication I can advise you properly in pricing negotiations. By understanding your motivations and financial capabilities, I can help you craft a price negotiation strategy with the highest probability of success. While it’s not always legally possible to determine why someone is selling, there are things I can glean from their listing and price activity that will allow me to help you to negotiate from a position of strength. There are a lot of ways to negotiate a real estate deal, and they don’t always involve money. Perhaps the seller doesn’t have a lot of ability to work with you on price, but they can make other concessions that could result in a deal. I help you to take the best approach. Many real estate price negotiations involve multiple counter offers and a lot of back–and–forth. I’m with you with each counter offer to adjust your negotiation strategy accordingly. Because I can’t know the seller’s financial limitations in many deals, some buyers are elated when they cut a major low-priced deal on a home, but then after inspections they hit a brick wall in negotiations with the seller related to repairs. The negotiation to purchase a home isn’t over with the price on the contract, and it’s best to know that a real deal at the front end could result in less flexibility after inspections in the repairs discussion. The thing to remember is that I’m right there with our Glendale, Burbank, La Crescenta, and North Hollywood real estate buyers throughout the negotiation process with the latest information and experienced advice. The negotiations rarely end with the price however. Once the buyer completes their inspection and document examination processes, they often object to things discovered and request corrective action that involves expense to the seller. I’m here to work with you every step of the way and help you to keep the deal alive without “giving up the farm.” While my sellers tend to become less stressed as soon as all of the purchase contract signatures are in place, I am with them and ready for the next negotiation phase. Property inspections can frequently result in buyer requirements for corrections by the seller. Whether you’re prepared for these or they come as a surprise, I’m here to help you to deal with them, as repair disputes are the most frequent reason for contract failures before closing. Part of my job is to help you to avoid too many “surprises” related to condition and repair negotiations after inspections. I’ll do my best to give you information about what I see that buyers may want corrected, but there are definitely things that nobody can anticipate until the inspectors have submitted their reports. So, there’s one other thing I try to do in order to prepare you and leave some negotiation room for you. I want you to always be thinking ahead to inspections and repair demands from the first offer. Always be thinking of what may be coming in the way of inspections and repair negotiations, especially when the initial purchase contract price negotiations are in play. No matter how urgent your need to sell, if you go too far in price concessions at the beginning, you may have no room left when inspections are done and condition corrections are requested by the buyer. As the buyer is normally paying for and ordering inspections, my job for my sellers is to make sure that they happen on time and that I receive the inspection reports by deadline due dates. I then meet with my sellers and go over the reports and any buyer objections/requirements to develop a counter strategy. If there are no objections or they’re minor in nature and cost, you may opt to agree to corrections. However, if they’re more extensive and were not anticipated, my job is to help you to reply in a way that saves you money and keeps the buyer in the transaction. Depending on the desires of the buyer and their selection of inspectors, there could be as few as a single inspector hired to do a thorough inspection of the home and all equipment supporting the home. However, there may also be other inspectors hired with a more focused goal, possibly a heating and air conditioning contractor, a well inspector, septic inspector, etc. Each of these inspections will have deadlines for completion and submission of reports and buyer requests for corrections. I have my own list of inspectors and contractors, and can call in experts to provide cost estimates and help my sellers to make decisions within the deadline times. Unless you have multiple offers, a buyer in the hand is worth something. My job is to get them to the closing table and your satisfaction with your net proceeds from the sale. There are more than 50 tasks, objectives and deliveries involved in taking a seller side transaction from contract through a successful closing. I’m on top of all of them to make sure you leave the closing table with a check to move on with life. My seller clients really appreciate my services in listing, marketing and getting a buyer signed on the dotted line on a purchase contract. However, neither they nor we can rest just because a contract is inked. 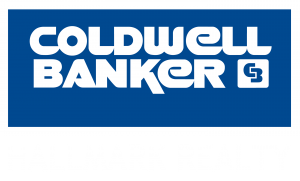 There are more than 50 tasks and deadline deliveries on my normal residential seller side real estate transaction checklist. And, I take our responsibilities seriously in the processing of all documents and meeting of all deadlines. The process of taking a signed purchase contract through to closing involves a great many details, deliveries and document submissions. I coordinate all of this for my sellers, making sure that all phases of the closing process move along smoothly.